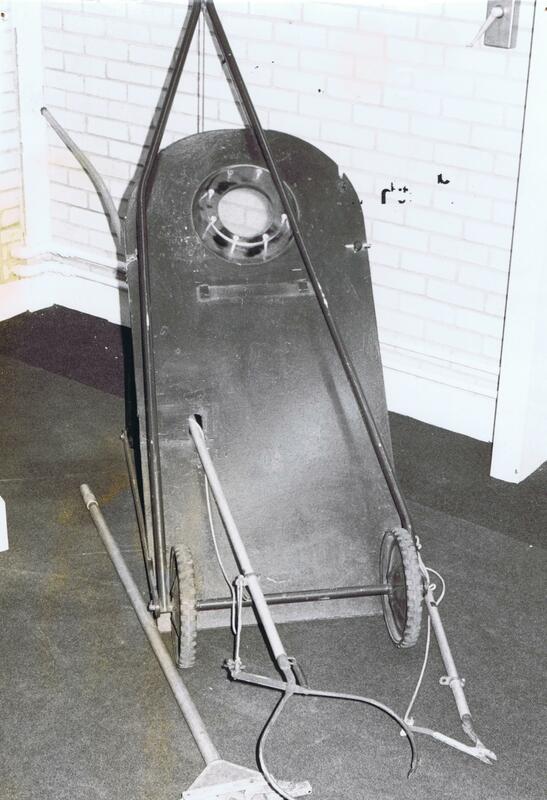 I have finally found a picture of a wheeled EOD shield from 1971 – courtesy of RLC Museum. Compare these two largely similar tools, the first from 1573, and the second from 1971 – 402 years apart. I believe the shield was used operationaly in Hong Kong in the sixties, and quickly went out of service after limited use in Ulster in the early seventies.